Successfully Added MP4 1GB Digital Media Player - SRS WOW Super Sound to your Shopping Cart. 1GB MP4 digital media player with a solid feeling, yet super thin design featuring super sound ability via SRS WOW settings. A PMP for people that enjoy the best in their media experience, this MP4 player comes with an extra large 2 inch TFT LCD screen for high resolution displays, the ability to expand on the already impressive memory via a Mini SD card reader, high fps video display and super sound from both the earphones and built in speaker. 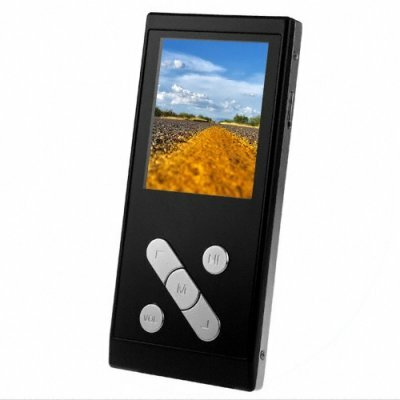 A perfect item to show off to friends, this digital media player comes with Chinavasion's one year warranty, in house professional QC checking, as well as no MOQ, perfect for single samples or huge bulk orders..